Collection of Creative and Cool Spoon Designs from all over the world. 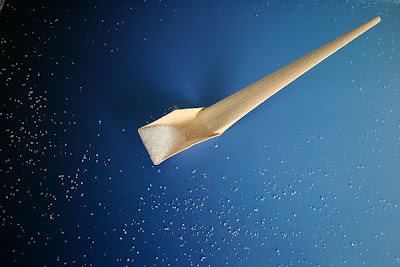 Drumstick Spoon: This unique indispensable beech wood spoon flip over to become drumstick. 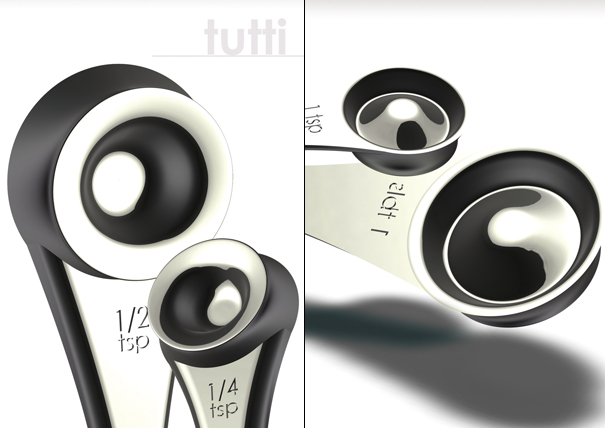 Tutti - Measuring Spoon: This measuring spoon that has not one, not two, not three, but four. 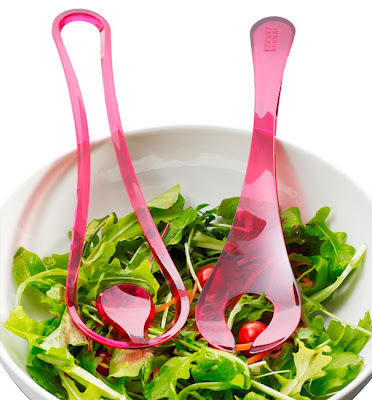 Salad Spoon: It's a two-part server set; these interlock as one for easy storage but can be opened up for tossing! 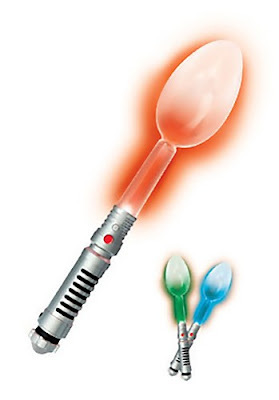 Saberspoon: This spoon actually lights up! Baby Food Spoon: This innovative feeding spoon for babies combines spoon and food container into one utensil. 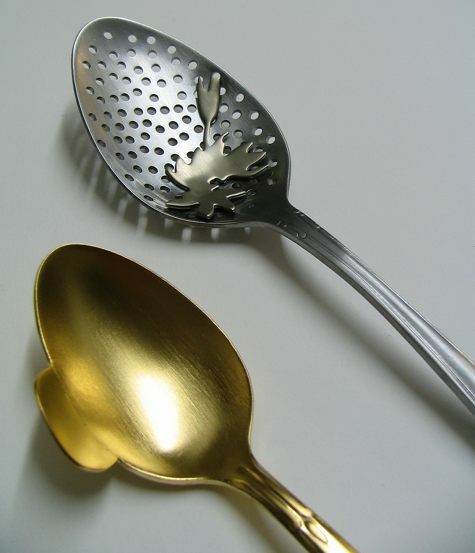 Artful Spoon Designs: These are artfully cut-out and are part of the Silhouette Cutlery Series by Anneke van Bommel. 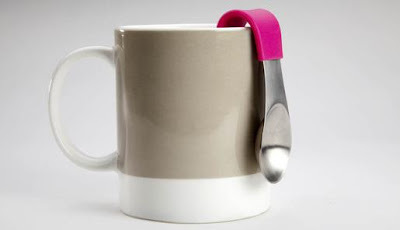 Mugstir: This spoon hugs the side of a cup when not in use. 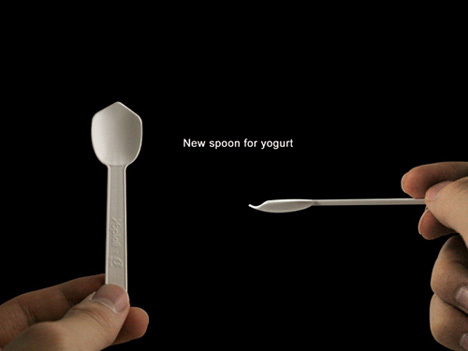 Yogurt Spoon: Designed by Nojae Park, this spoon enables you to get all the yogurt from the bottom of the inconveniently shaped containers. 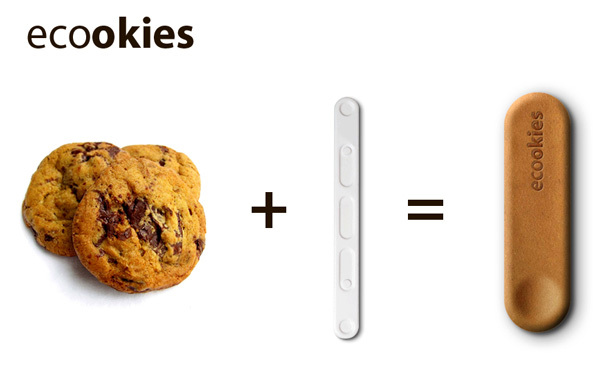 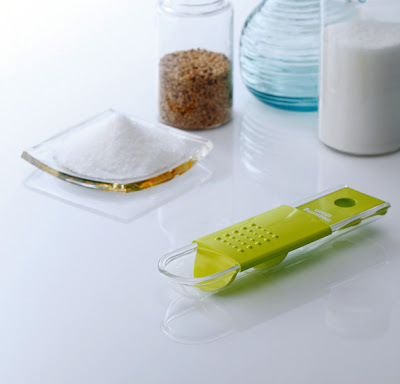 Clever Spoon: This clever spoon lets you measure different portions easily. 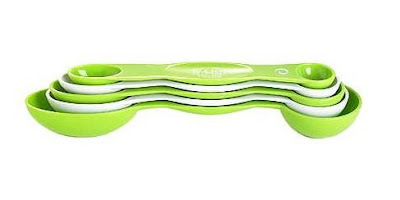 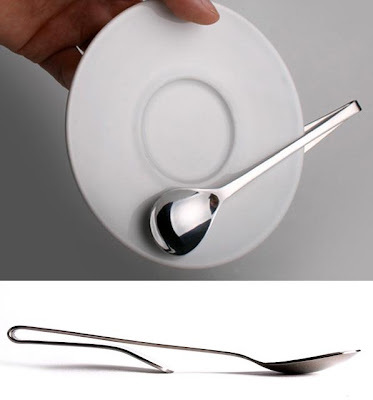 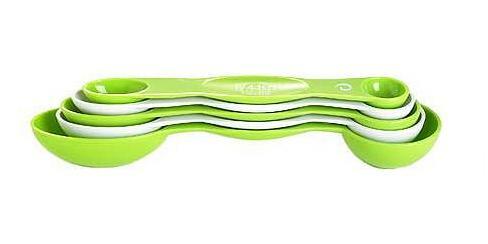 Clasps Spoon: Designed by Ivan Erkic, it has a built-in clasp at the end that holds on to dishes. 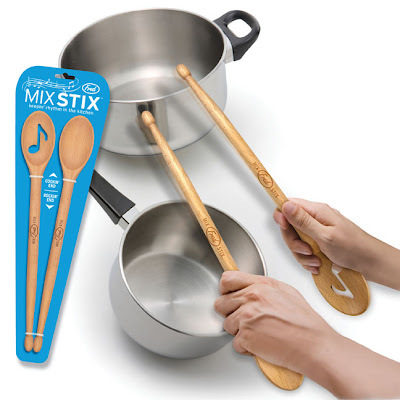 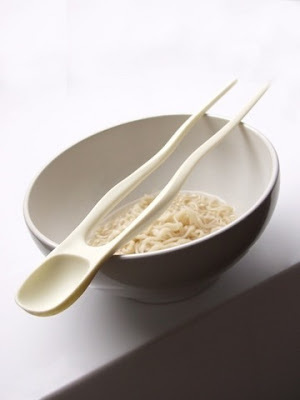 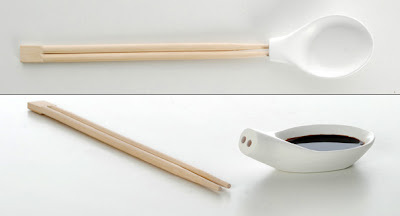 Chopsticks Plus One: It's a combination of chopsticks and spoon, that can be used together or separately. Cookie Spoon: "Dense enough to keep a satisfying crunch when stirring yet scrumptiously delicious as that extra little treat." 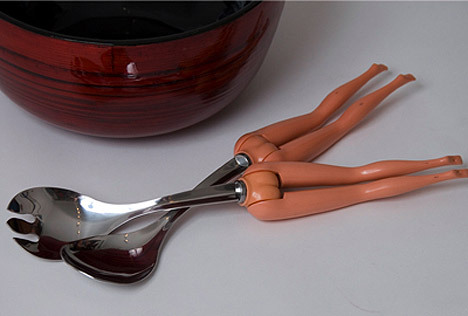 Doll Legs Spoon: Creative and innovative way to reuse stuff. 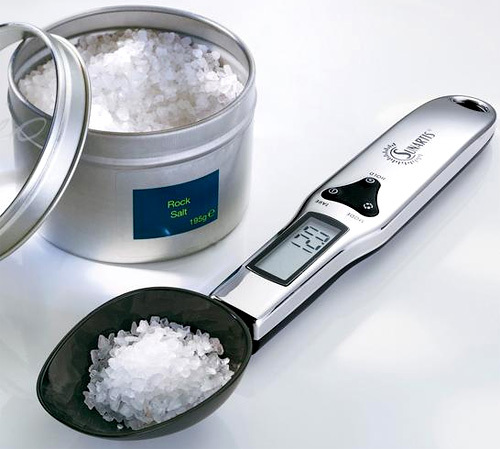 Magnetic Measuring Spoon Set: This set consist of 5 measuring spoon from ¼tsp to 1tbsp attached together by magnets. 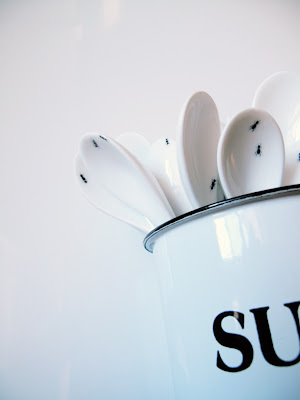 Ants On My Spoon: These tiny ants were individually hand painted on porcelain spoon.